"We just knew it was him. And he knew it was us,” said Susan Zelitsky. Jimmy the cat has finally made his way home after he went missing on Sept. 13, 2014. 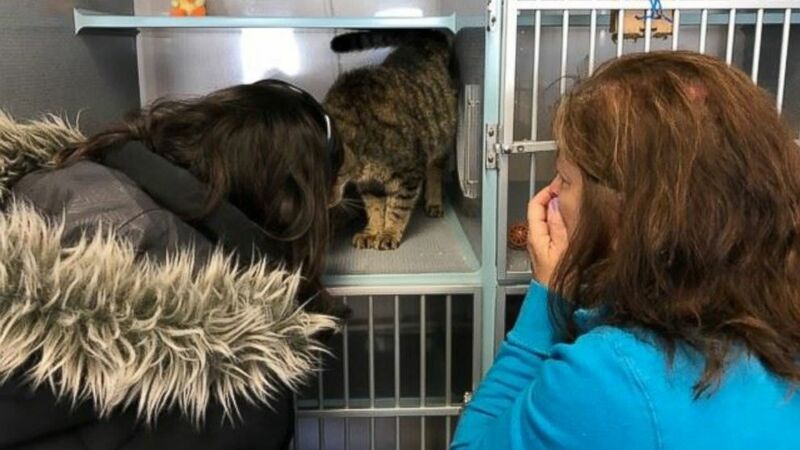 "He was in an indoor cat, but we would let him go out with us to visit the neighbors," his owner, Susan Zelitsky, of Wanaque, New Jersey, told ABC News. "He would stroll around and walk the dog with us. He would go to my neighbors for extra treats, but he always stayed within the boundaries of our house. He’d always come back. But this particular night, he just did not." "I don’t know if he stowed away in a car or if he was so friendly and someone took him," she added. "We immediately searched the area and made posters and called the police and shelters. I was so heartbroken, but after months and months and months, I was thinking maybe even a coyote got him. The unknown was so heartbreaking." 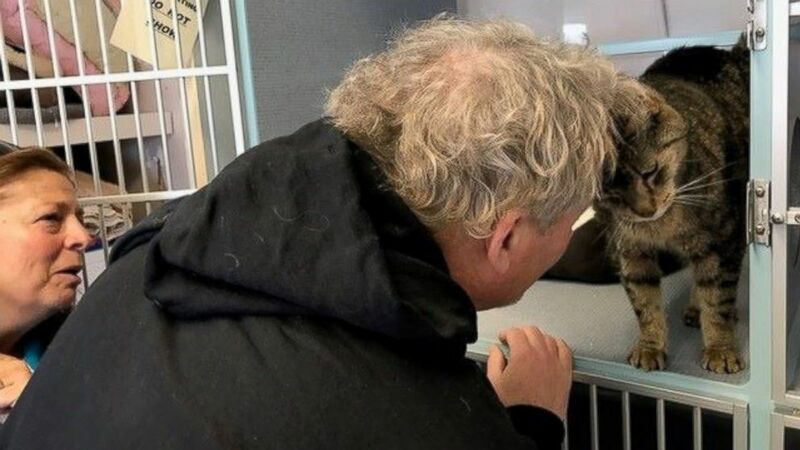 But on March 19, Zelitsky was browsing Facebook when she noticed a familiar face on the page of West Milford Animal-Shelter, which is about 10 miles away from her house. A cat that looked just like a "more weathered" Jimmy popped up on the shelter’s lost animals page. "I looked at the cat and I said, 'Wow that looks like Jimmy. Let me open up the details,'" she said. "I was going, ‘check, check, check’ in my head," she continued. "And the thing that got me is he was declawed and I said, ‘Wow, what are the chances of this?’ I’m skeptical, though, so I called the shelter right away, but they were closed." By chance, a woman at the shelter had stayed late feeding the animals and answered the phone. "She said, 'Why don’t you send me some pics and we’ll compare?' I only had old cell phone pictures, and she said the markings look very familiar." Zelitsky visited the shelter the very next morning with her neighbor, who also adored Jimmy, and it was clear right away that her kitty had been found. Jimmy even recognized the scent of her husband’s pillowcase that she brought with her, along with a dog toy Jimmy would’ve remembered from years ago. "Jim Jim, is that you, babe?" Zelitsky asked the tiger cat in his cage. "He turned and head-butted me and started to rub me and he did the same thing with the pillow case and the toy. I started to cry immediately. We took him into a room on a blanket and he was all over us. He always liked belly rubs. I would rub his belly and he’d nip me when he’d have enough. He nipped me just like he used to. Even the woman at the shelter said she could not get over the reaction of this cat." 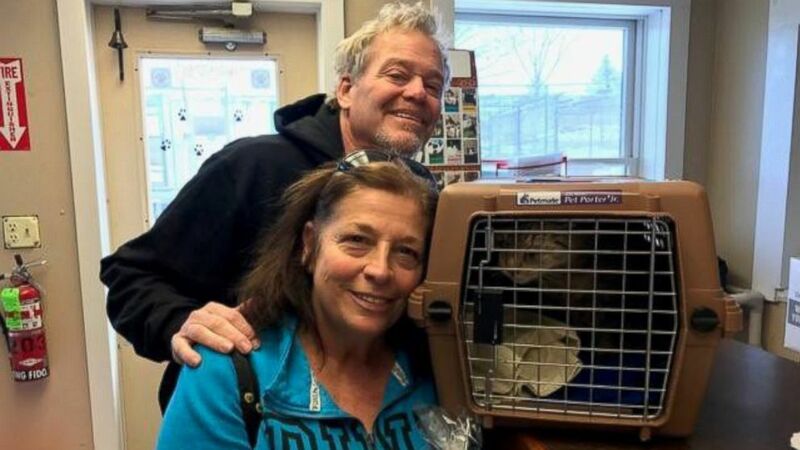 (The Real Cats at West Milford Animal Shelter) Jimmy the cat has made his way home after missing since September 13, 2014, in Wanaque, New Jersey. Zelitsky called her husband to tell him the good news. "My husband came to the shelter and the kitty is head-butting my husband," she continued. "Everything added up and we just knew it was him. And he knew it was us ... it’s amazing." Though the house has changed a bit since Jimmy was lost, the family is happy. "It’s just amazing he’s in our house," Zelitsky said. "It’s so cute. We have two other kitties we got since he left and they just warmed up to him with open paws." The Zelitskys have no idea what their beloved Jimmy, who is not microchipped, was up to all this time. But, they are grateful to whomever rescued him from the High Crest neighborhood of West Milford right after the blizzard in March. "I wish he could talk for just five minutes so he could tell me," said Zelitsky. "I really don’t know the answer, but I’m just so glad he’s home." 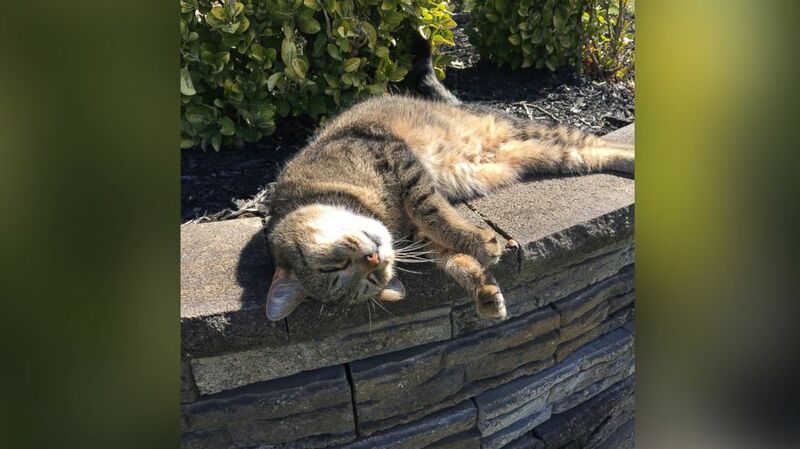 (Courtesy of Susan Zelitsky) Jimmy the cat has made his way home after missing since September 13, 2014, in Wanaque, New Jersey.